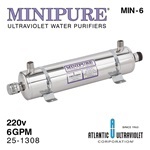 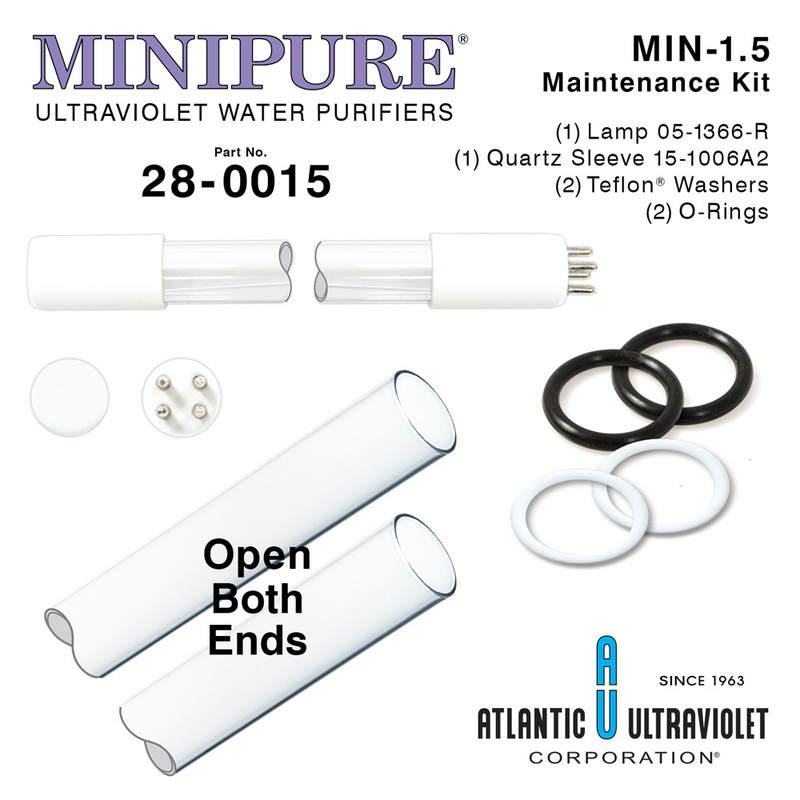 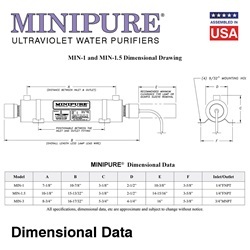 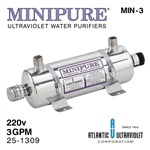 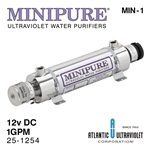 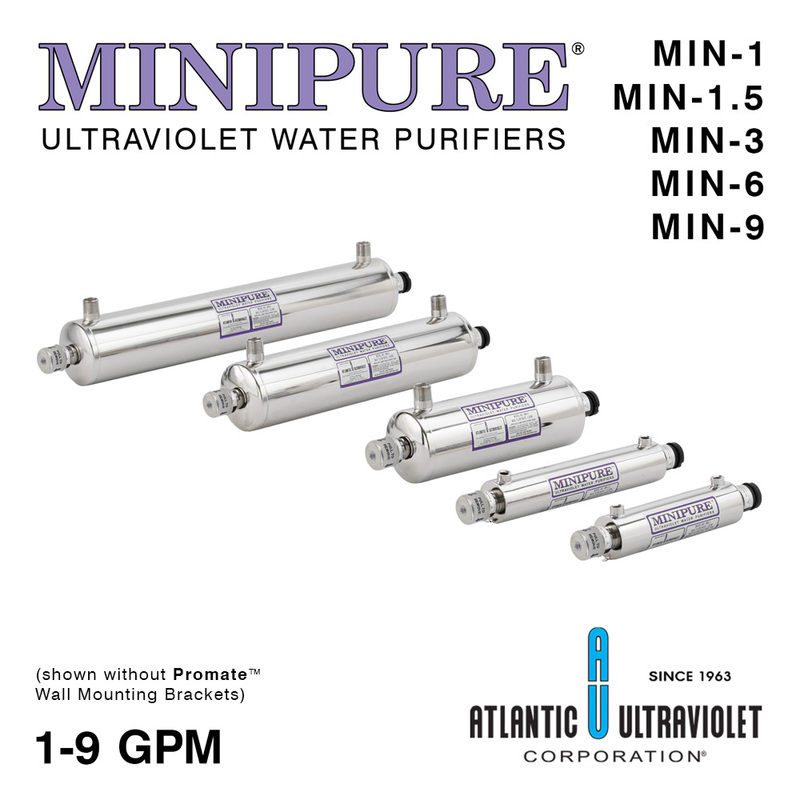 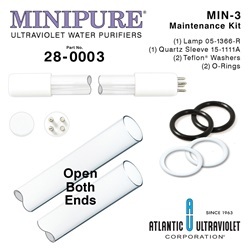 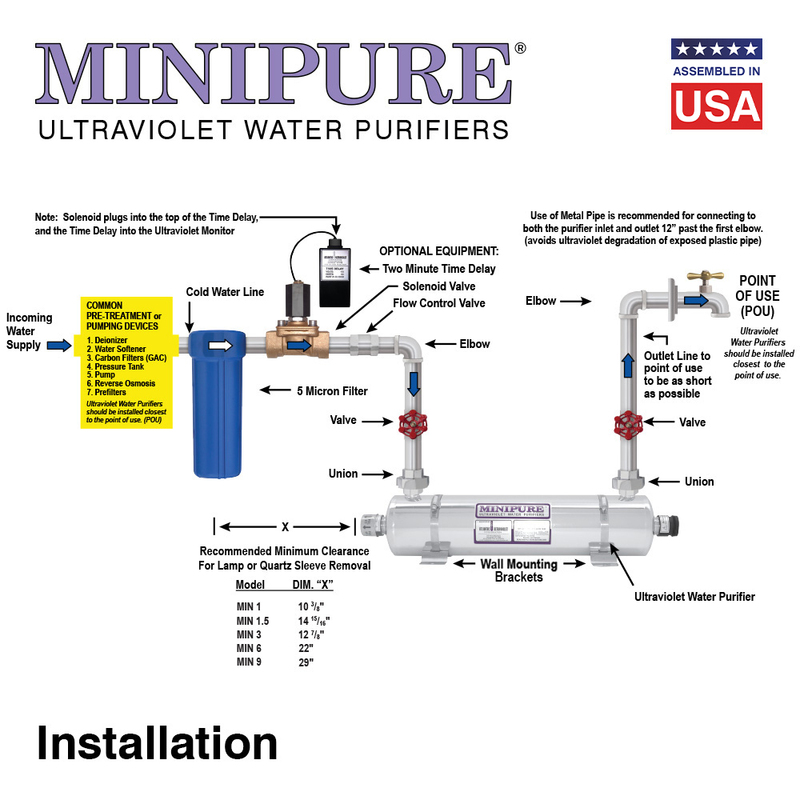 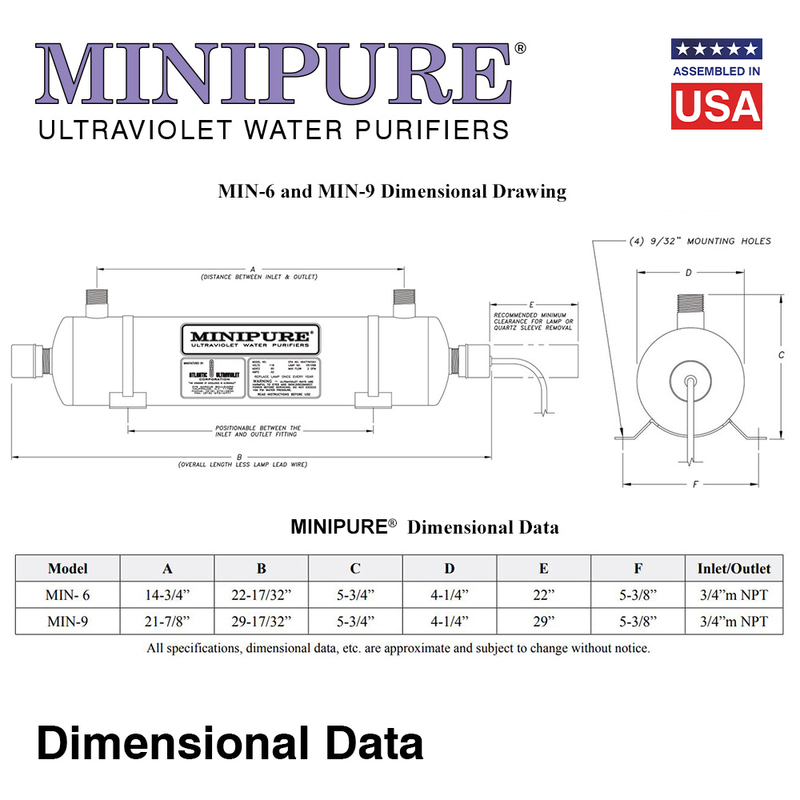 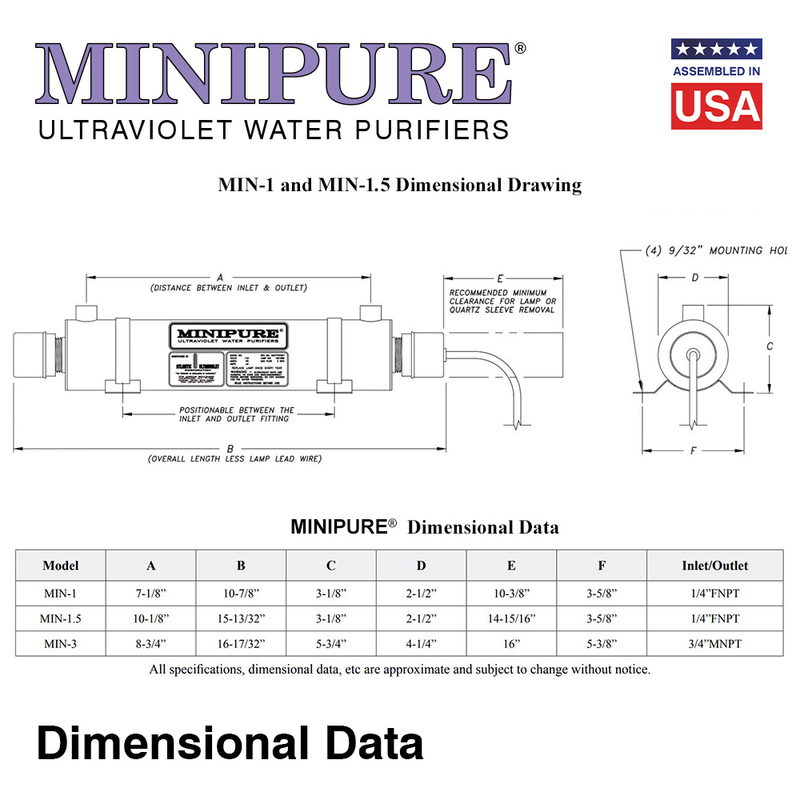 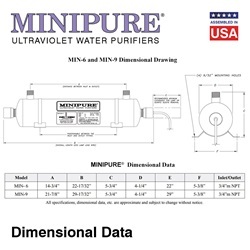 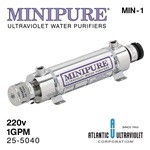 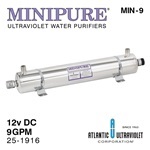 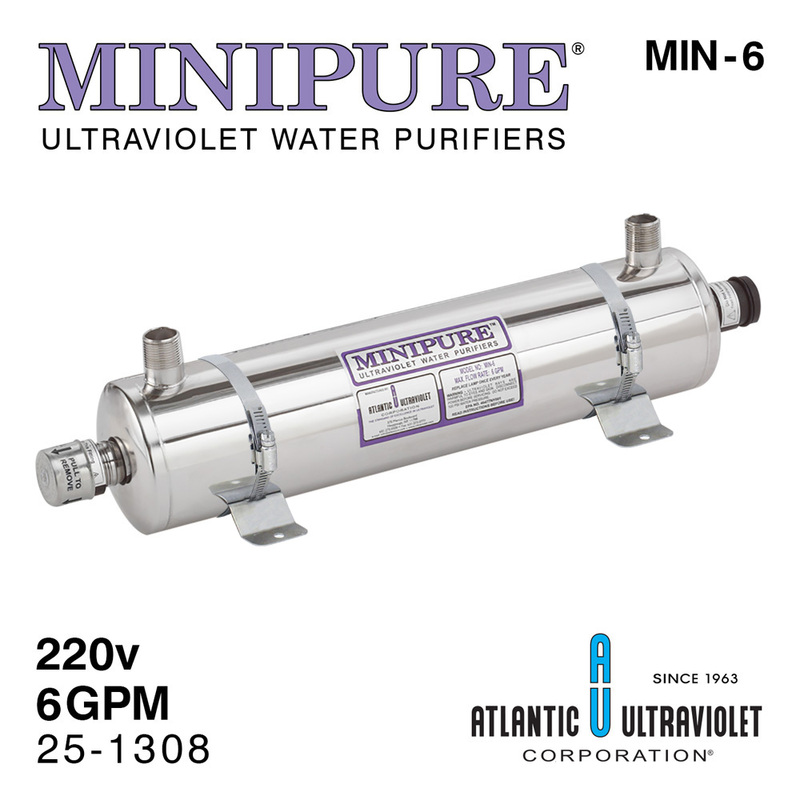 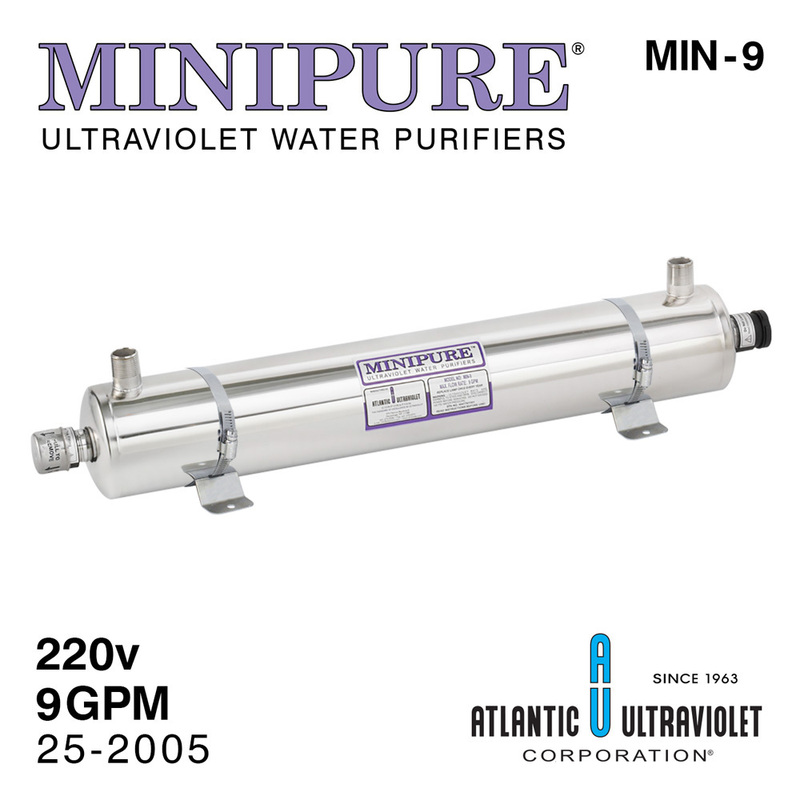 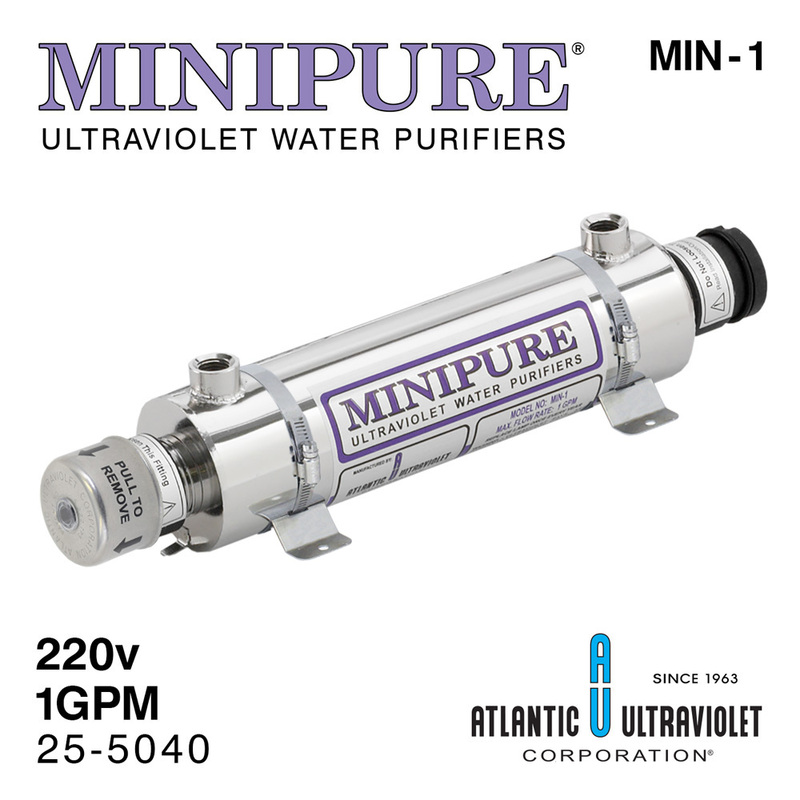 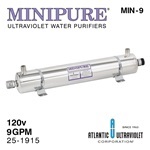 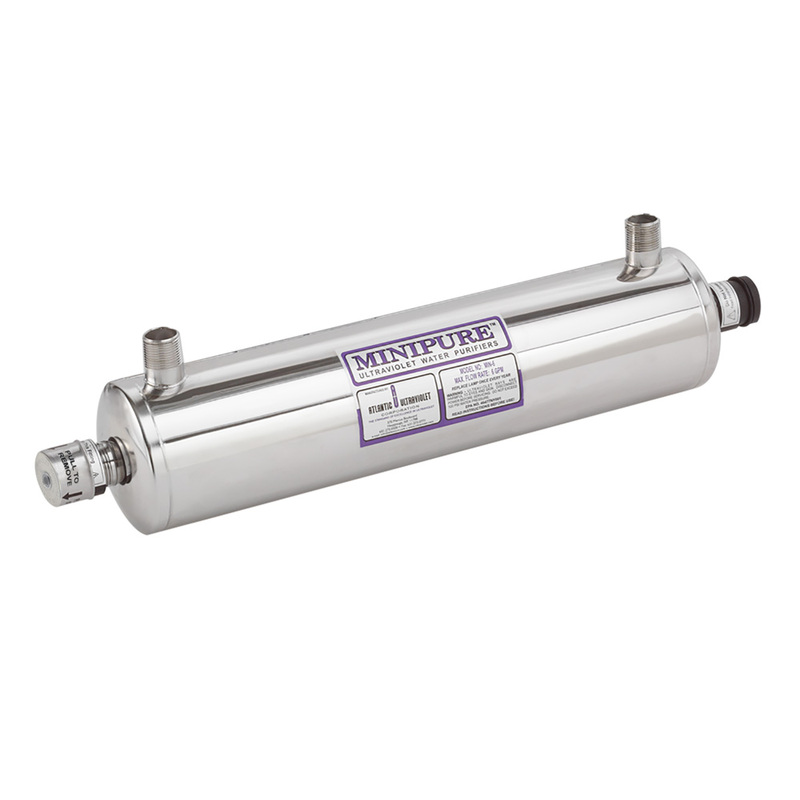 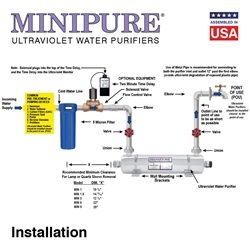 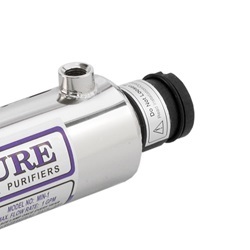 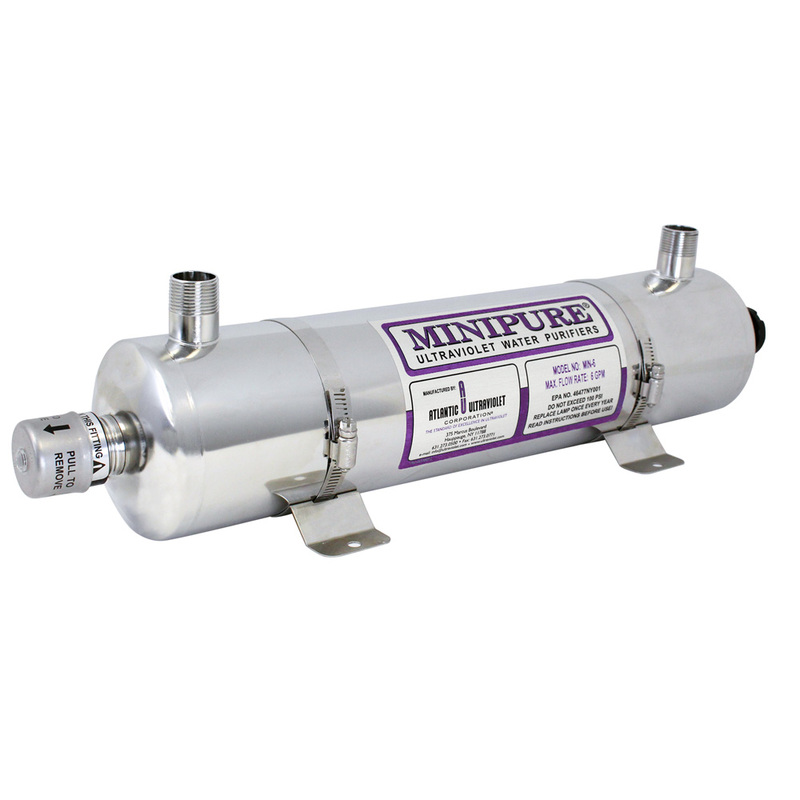 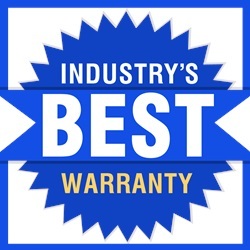 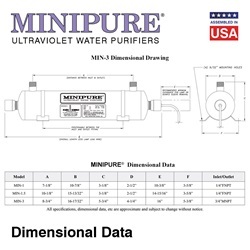 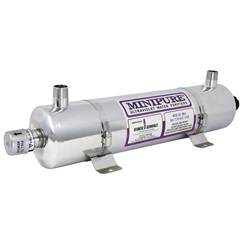 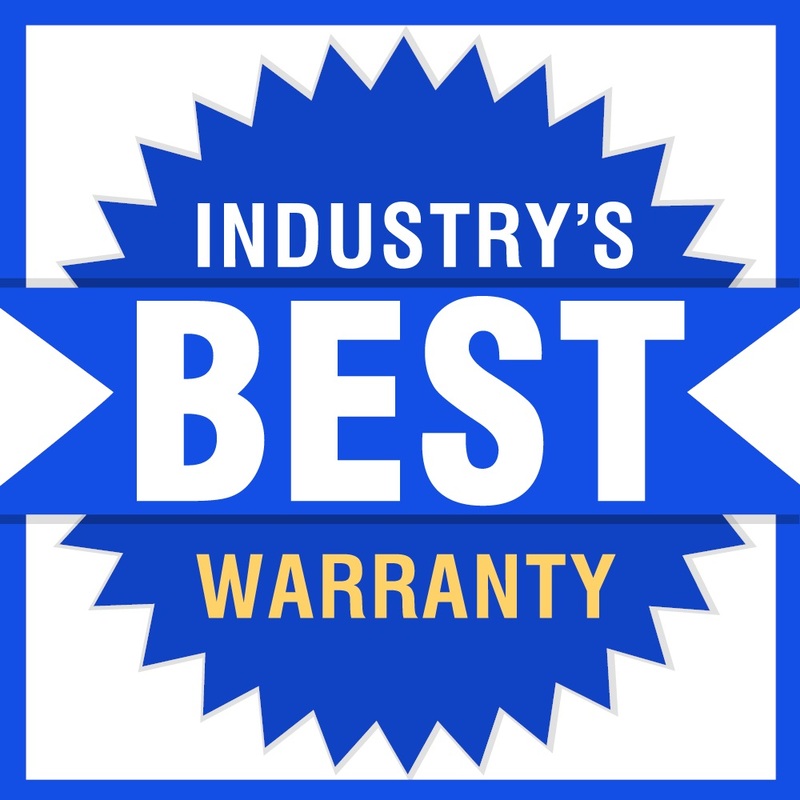 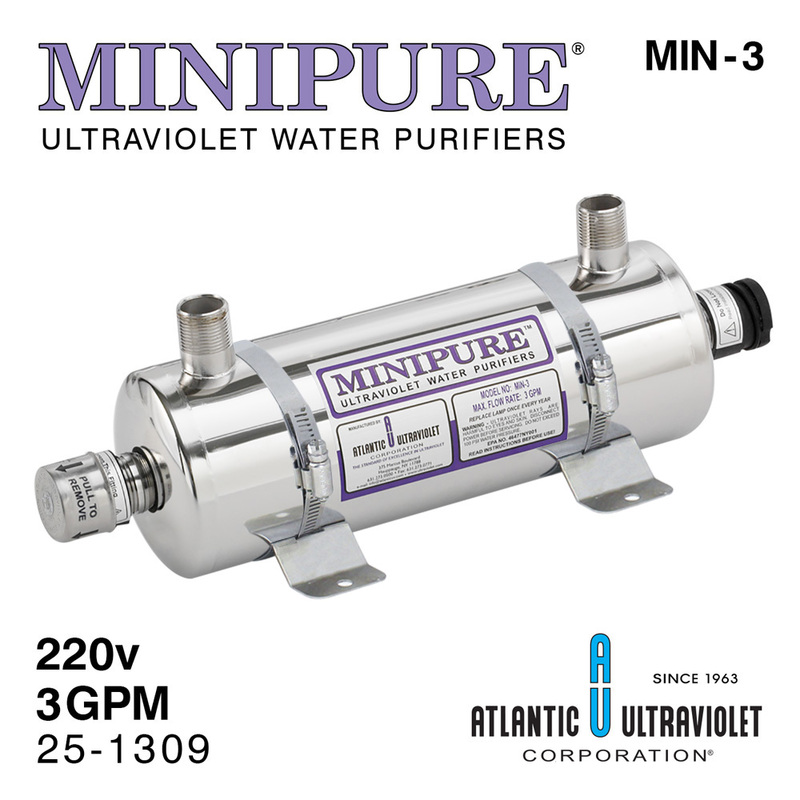 The MINIPURE® line is compact and economical. 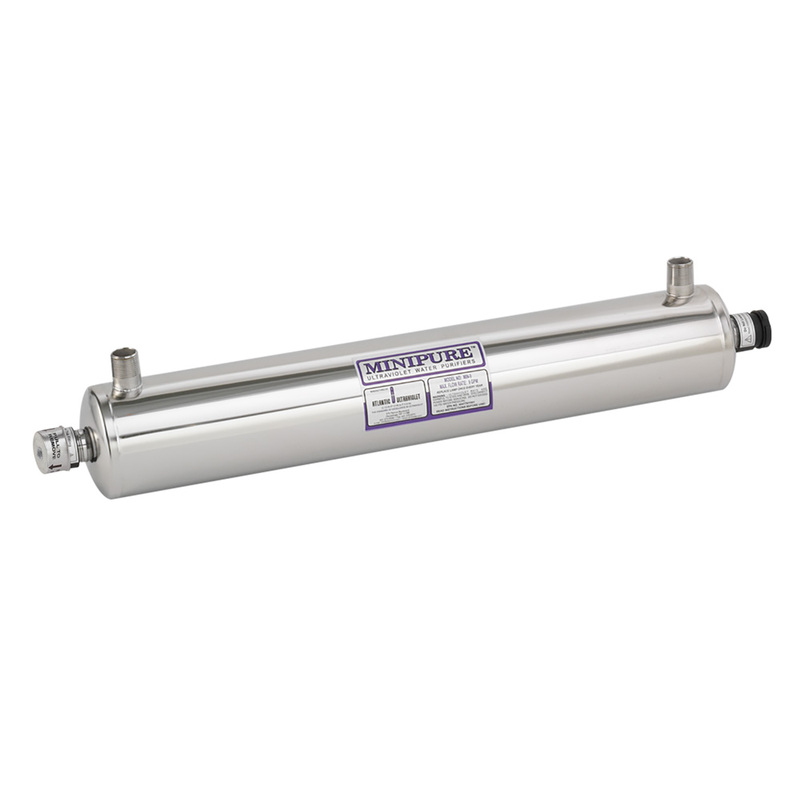 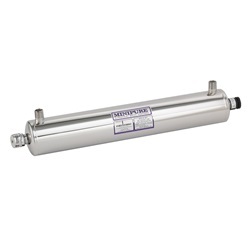 This line is suited for point of use applications (under sink installation, water vending machines) as well as with small reverse osmosis systems, boats, recreational vehicles and other similar applications. 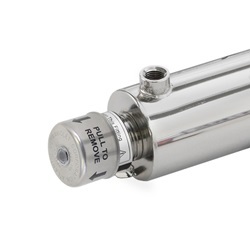 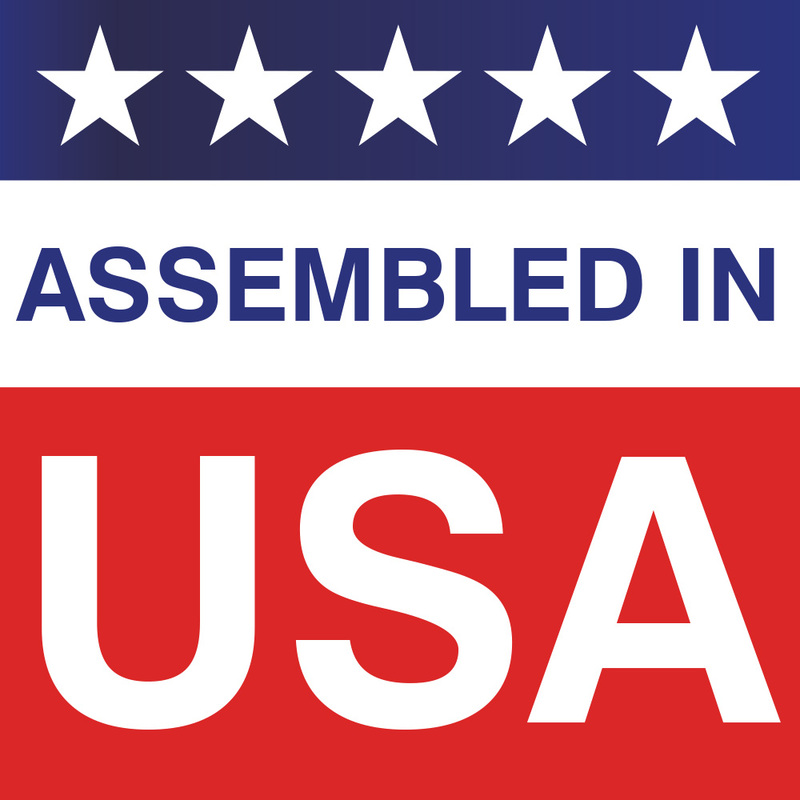 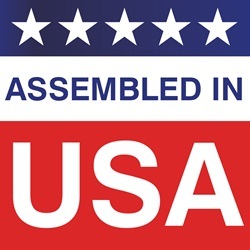 120 1 1/4" NPT 14W 3" 12.375" 2.5"
220 1 1/4" NPT 14W 3" 12.375" 2.5"
12vDC 1 1/4" NPT 14W 3" 12.375" 2.5"
120 1.5 1/4" NPT 16W 3" 15.375" 2.5"
220 1.5 1/4" NPT 16W 3" 15.375" 2.5"
12vDC 1.5 1/4" NPT 16W 3" 15.375" 2.5"
120 3 3/4" NPT 16W 5.5625" 16.25" 4.25"
220 3 3/4" NPT 16W 5.5625" 16.25" 4.25"
12vDC 3 3/4" NPT 16W 5.5625" 16.25" 4.25"
120 6 3/4" NPT 24W 5.5625" 22.25" 4.25"
220 6 3/4" NPT 24W 5.5625" 22.25" 4.25"
12vDC 6 3/4" NPT 24W 5.5625" 22.25" 4.25"
120 9 3/4" NPT 34W 5.5625" 29.375" 4.25"
220 9 3/4" NPT 34W 5.5625" 29.375" 4.25"
12vDC 9 3/4" NPT 34W 5.5625" 29.375" 4.25"